In our last prayer letter, we ended pleading with you, “Don’t stop praying for us and for Portugal.” God is answering your prayer, and here are some encouraging glimpses into what is happening. Our house was filled with laughter, stories, and games last month as we hosted a deaf pizza party. Eighteen people came! 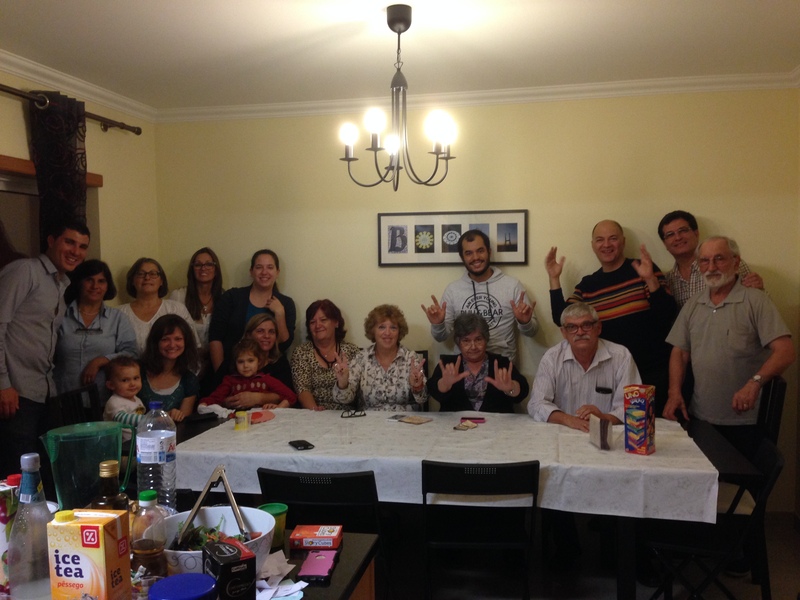 Some of the deaf have spouses who won’t attend church, but they were willing to come to our party. Not only did we get to know them better that night, but God gave a unique witnessing opportunity. We had some beautiful Thanksgiving napkins that our family had brought us two years ago from America. Even though they were in English, they matched the table setting so well that Sarah put them out for the party. During the meal, one of the deaf asked Sarah, “What is this written on the napkin?” It was Psalm 107:1 – “O give thanks unto the LORD, for he is good: for his mercy endureth for ever.” The whole table stopped the conversation and turned to her as she explained the history of Thanksgiving, what the verse meant, and even where to find the verse in their Bibles. They were so touched that many asked for an extra napkin to keep as a souvenir. God can witness through anything . . . even a napkin! 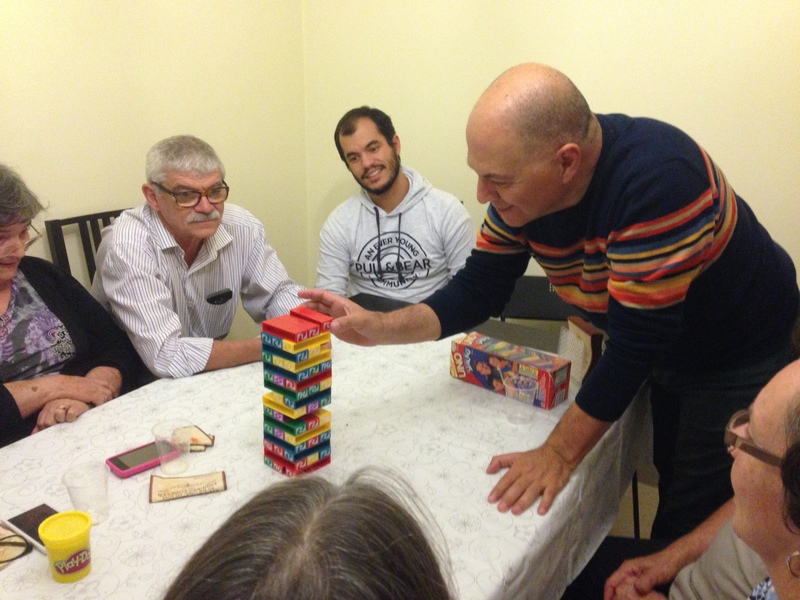 Playing a game at the party. This month, we celebrated our second anniversary of the Deaf Church. We had three visitors come, and had a record attendance of thirteen. We are thankful to see some numerical growth. This weekend is our special Deaf Christmas outreach at the church. We are preparing games, crafts, food, special music and the Christmas message. Please pray God will bring many deaf people and that they will finally accept the gift of Jesus this year. Next week (Dec. 8th), the hearing church is doing a community-wide outreach. For two months, we have collected clothes and housewares to give away to the community. As people enter the church to receive their items, we will provide apple cider and hot chocolate, sing Christmas carols, tell Bible stories to their children, and explain the true meaning of Christmas. Our church members came up with the idea themselves and are volunteering for various tasks that day. We are proud of them for wanting to reach their own community for Christ and to show that we are about giving, not receiving. This past Sunday we had our very first “church business meeting.” Up to this point, we have functioned as a church plant with a very informal structure, but in 2016 we hope to take all the steps necessary to organize officially as a church. These steps include registering with the government, electing church officers, affirming our doctrinal statement, and formalizing a church constitution. It’s a big step for us as a young church. While preparing for this important moment, I wondered if it would be a meeting filled with skepticism, questions, or divisiveness. Thankfully, it was a sweet and encouraging moment. People stated things like: “I think we all know that this is what we are supposed to do.” “I’m ready to roll up my sleeves and get to work.” “We must go forward in faith.” And so, we do. 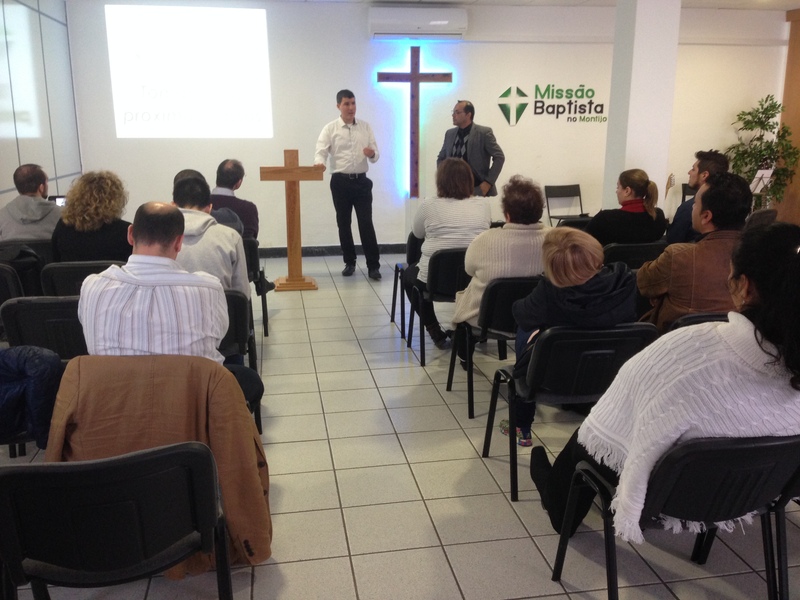 May God continue to build and grow the work He has begun in Portugal and in each one of us! To Him be all the glory!